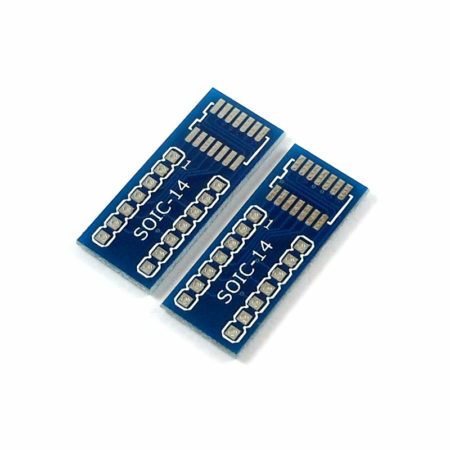 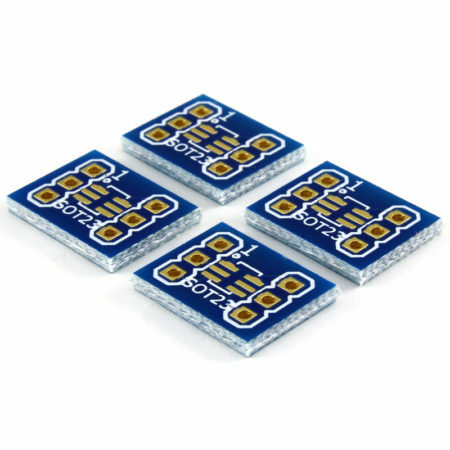 Pack of 2 breakout boards for a SOIC-14 package. 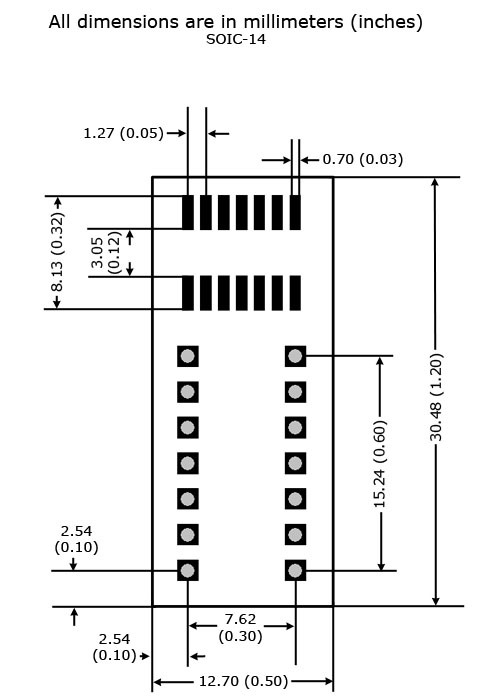 Converts a SOIC-14 package into DIP with 1″ (2.54mm) spaced pins. 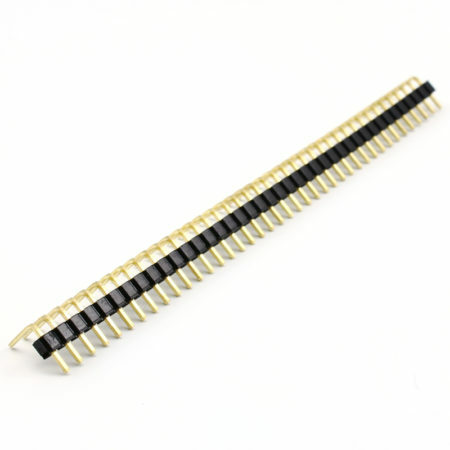 On this adapter you can solder a SOIC-14 package IC to get standard DIP pins with 0.1″ (2.54mm) spacing. 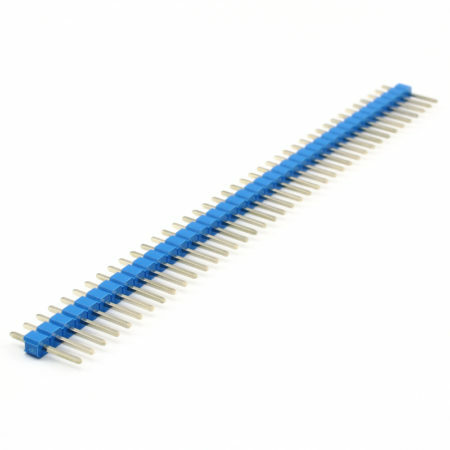 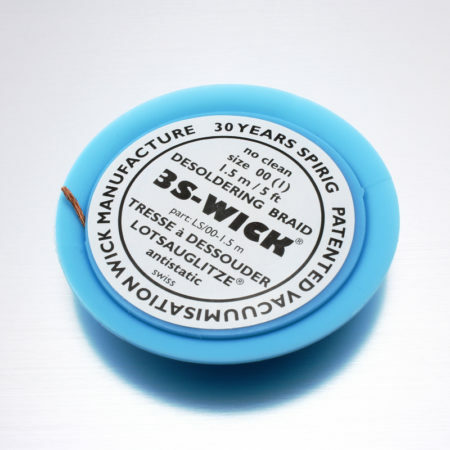 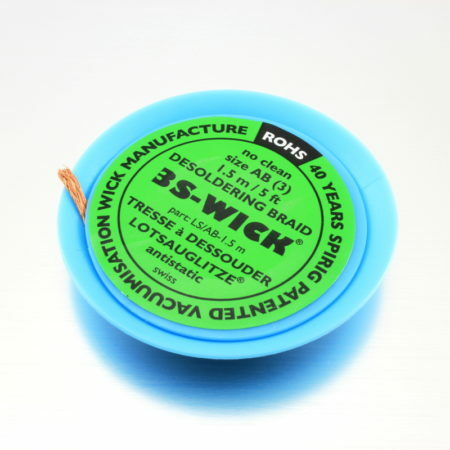 You can solder a header into the 0.1″ (2.54mm) holes to fit the adapter in solderless breadboards, protoboards or DIP sockets. 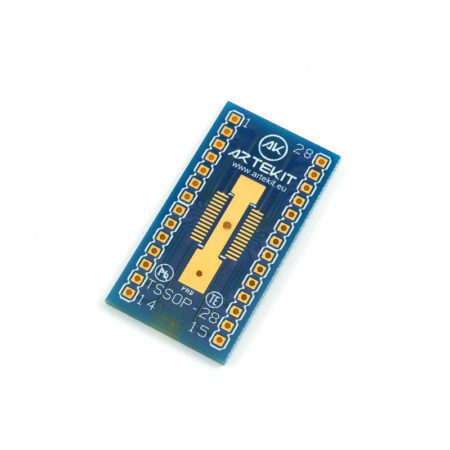 Perfect in combination with microprocessor like the Microchip PIC16LF1825. 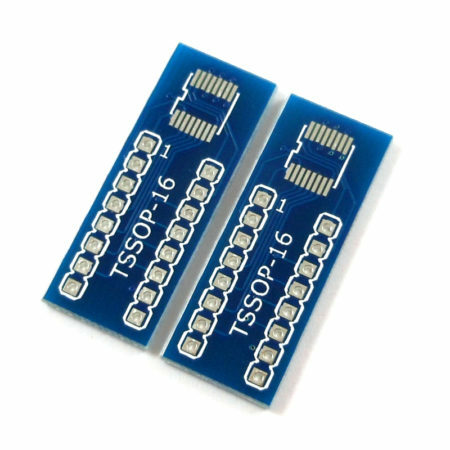 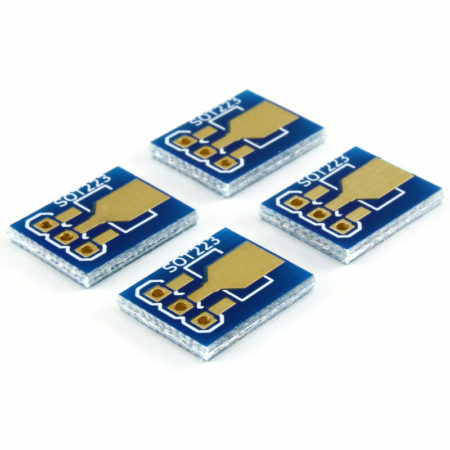 The set comes with two SOIC-14 to DIP adapter boards.